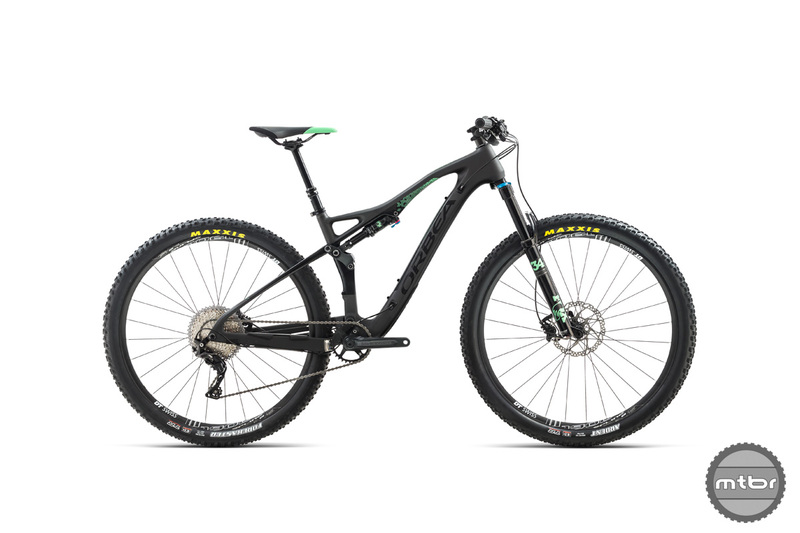 The new Orbea Occam TR is a versatile trail bike that comes in either 29er or plus wheel configurations. 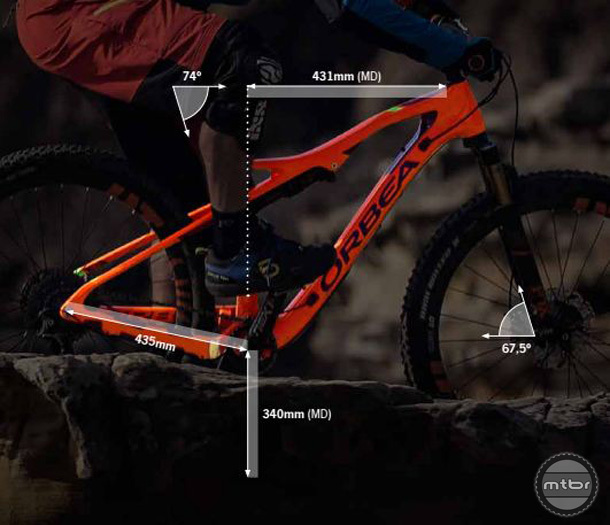 For 2018, the Orbea Occam is available in two different frame options. On the trail side, they offer the TR. This bike comes equipped with an 130mm fork and 120mm of rear travel. It’s compatible with both 27.5+ and 29er wheels. The Orbea Occam AM ups the travel, ditches the big wheels, and adds more aggressive geometry to the mix. 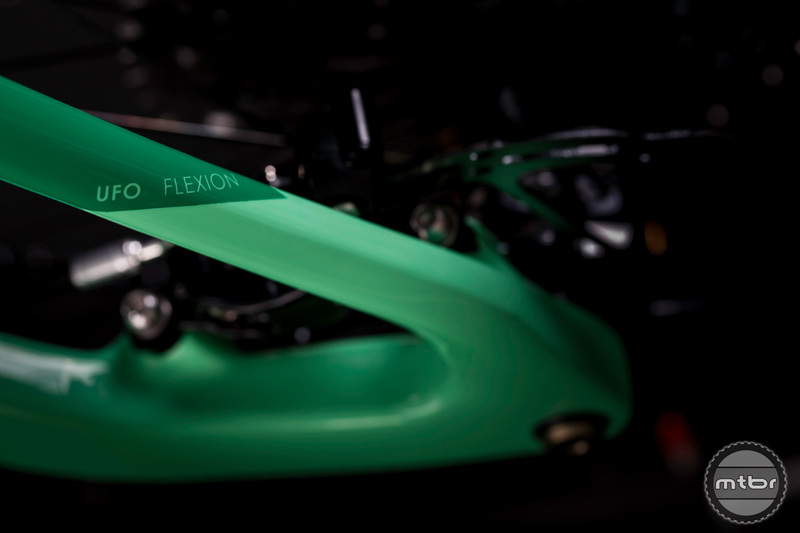 On the all mountain side, the Spanish bike maker is now offering the aptly named Occam AM. This 150mm travel rig comes equipped with 27.5×2.4 rubber and is not plus compatible. The TR and AM are now available in four sizes for riders between 4’11″ and 6’6″. Both the TR and AM platforms have adopted the new longer/slacker geometry tends. 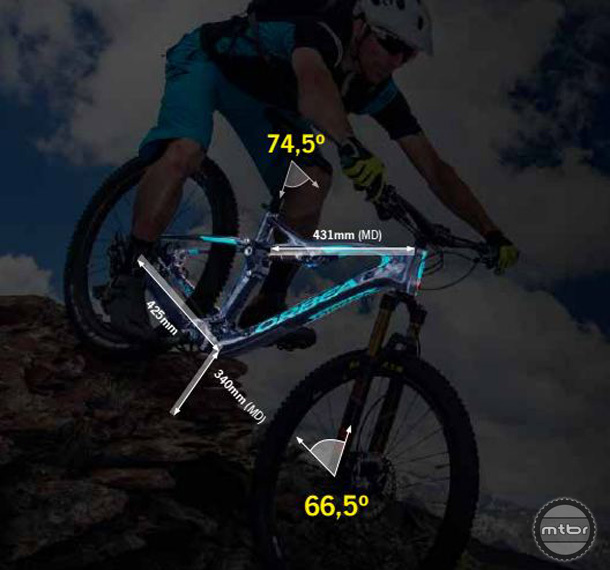 On the TR, you have a 67.5-degree head angle, 431mm reach (size medium), and a 74-degree seat tube angle. The AM has a slightly steeper seat tube angle than the TR. The AM shares similar top tube, seat tube, and bottom bracket measurements, although the headtube angle is a degree slacker. The goal was to keep both stack and reach measurements consistent across both models and their associated wheel sizes. By eliminating the rear pivot, Orbea managed to cut a chunk of weight from the Occam. Both versions of the Occam now utilize a flexible seat stay suspension platform dubbed UFO. 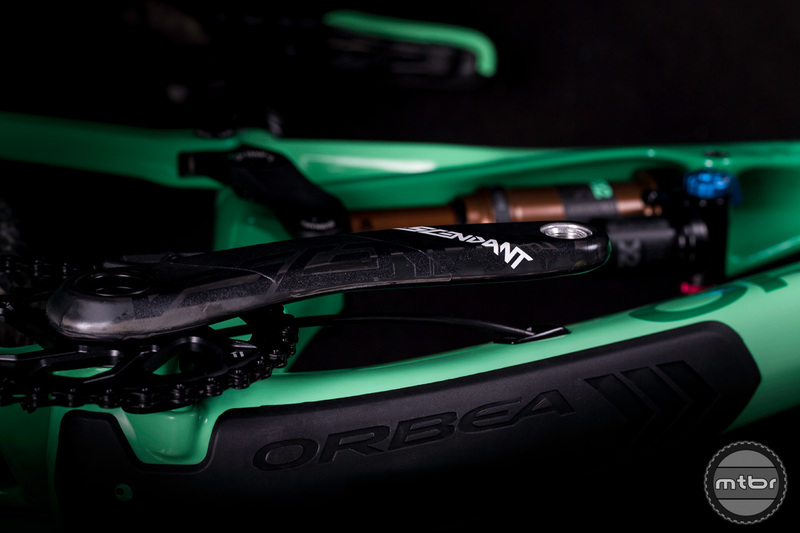 By eliminating the rear pivot, Orbea claims they’ve been able to shed 140g. More importantly, this configuration is said to require less maintenance, while offering better stiffness and acceleration. Both models feature integrated downtube protectors, front derailleur compatibility, and ISCG 05 tabs. As you’d expect, the Occam now features boost hub spacing. There’s also room inside the front triangle for a water bottle and the option of running a front derailleur. Other details worth noting are the integrated downtube protection and ISCG 05 tabs. Prices for the Occam start around $2300. Prices for a complete Occam start at $2300. That nets you a RockShox Recon fork, Fox shock, and Shimano SLX drivetrain. For $3699, the Occam comes with a GX Eagle drivetrain, Shimano stoppers, and a Race Face dropper. At the top of the range for $8299, you can bring home a carbon frame decked with Kashima coated Fox suspension, a SRAM XX1 Eagle drivetrain, DT Swiss XMC wheels, and a healthy dose of carbon. To learn more, visit www.orbea.com. The new Occam TR is a versatile trail bike. It can be had with either 29” or plus wheels. The Occam AM ups the travel, ditches the big wheels, and ads more aggressive geometry to the mix. The TR and AM are now available in four sizes. The small is said to work for riders between 4’11 and 5’5. A new XL will accommodate riders upto 6’6. By eliminating the rear pivot, Orbea managed to cut a chunk of weight of the Occam. Both models feature integrated downtube protectors, FD compatibility, and ISCG 05 tabs. Prices for the Occam start around the $2,300 mark.